One of the ways to speed up a computer is to add more memory. Madison Geeks professional technicians can advise you on how much memory your computer has and what your options are for updating it. Memory (known as RAM) works as a temporary storage place for data and programs which run on your PC or laptop. The amount and speed of the memory is an important factor that influences the overall performance of your computer. Keep in mind there are limits at to how much your specific computer can handle as well as what size modules are available for the speed of memory you need. It is important to not confuse RAM computer memory with storage devices, like hard drives, solid state drives or SD cards. Those basically act as a filing cabinet, a storage place, for all your digital data. Desktop and Laptop RAM temporarily stores data which is used by the computer's central processing unit (CPU). RAM, which stands for Random Access Memory. 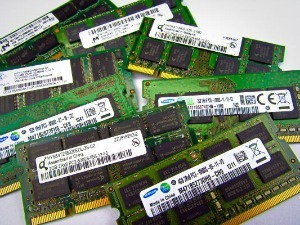 RAM for the computer is typically attached to the motherboard in the form of a module called a DIMM (Dual Inline Memory Module) like those pictured. They are actually a circuit board that contains the memory chips. The sticks plug into slots on the computer motherboard. Does more RAM boost system performance? Yes. It may also depend on other system components, workload, and whether or not you’re using graphics that are built into your computer system board versus a separate video card. If you bought a machine that has 2gb you're likely safe to assume it can run with 4gb. With a machine that has 4gb it's likely that you'll be able to upgrade to 8gb or even 16gb depending on the computer motherboard. 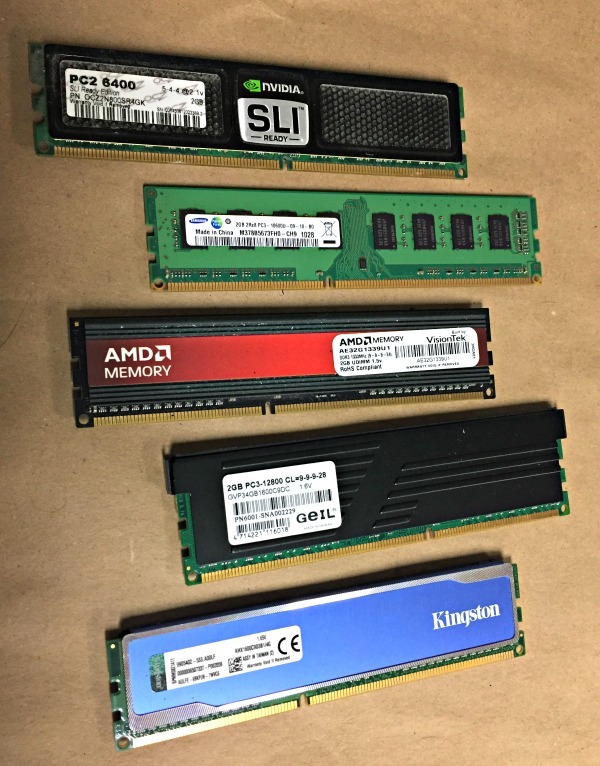 Contact us today for a computer memory upgrade, we're here to help.